One of my hobby's that reminds me of my Grandmother a very long time ago. I made a long exposure to get depth of field using a tripod. Thank you and yes the smell fills the house and it is almost half gone. Great shot! 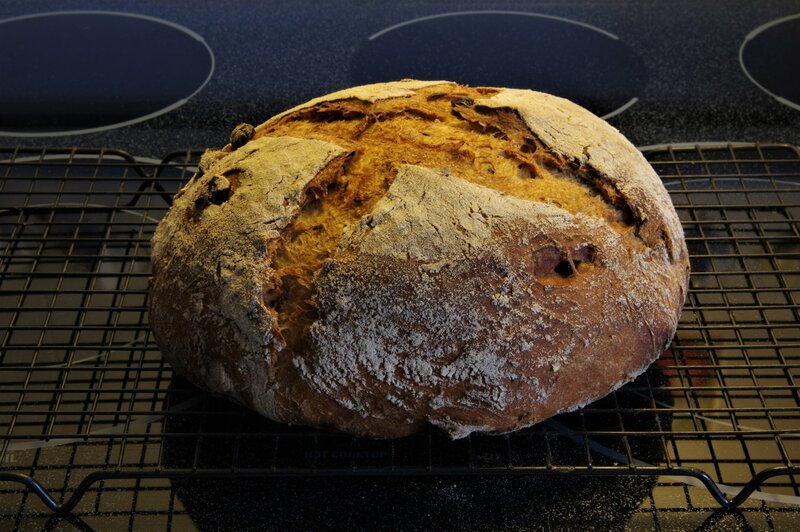 I've been baking my own bread for 30 years, plus worked in a bakery for a year. It was the nicest smelling job I ever had! I started doing this in 2009 and I do about 1 a week or so. I juice it up a little with pecans, craisins, flax seeds, a little cinnamon, with 1/2 organic whole wheat and 1/2 organic high protein bread flour. Thank you, I'll enjoy it for you.